Baltimore Harbor Light is located just north of the Magothy River, roughly 1.5 nautical miles off Gibson Island. The white two-story brick lighthouse marks the southern entrance to the Craighill Channel. After passing Baltimore Harbor Light, northbound vessels are guided by the Craighill Channel Lower Range Lights. 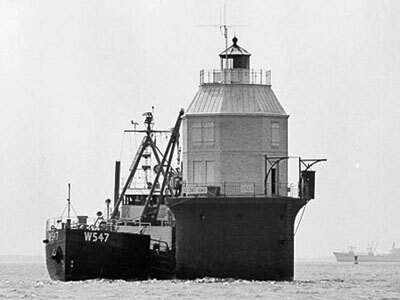 In 1964, Baltimore Harbor Light became the first nuclear-powered lighthouse in the world. After a year, the experiment ended and the lighthouse was refitted with a conventional power system.